This year, progressive rock icons King Crimson celebrate their 50th anniversary as a band (beginning with their first rehearsal). To mark the momentous occasion, the band is touring (50 shows on three continents) as well as issuing a bunch of reissues and rare tracks. 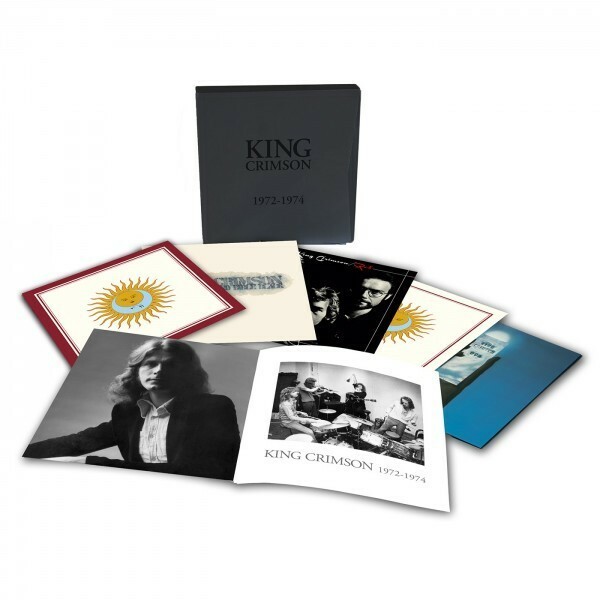 In February, the band will release King Crimson: 1972-1974, a box set featuring six LPs, from Larks’ Tongues in Aspic to the expanded live album USA, as well as Red and Starless and Bible Black. In May, the band will release Heaven and Earth, a multi-disc CD/DVD/Blu-Ray set covering their music from the ’90s on up to 2008. In October, the band will release a CD/DVD/Blu-Ray set of their complete 1969 recordings, as well as 200-gram vinyl releases of Beat and Three of a Perfect Pair. Additionally, they’ve announced KC 50, a new weekly release of a rare or unreleased track on digital and streaming services. Keep track of those here, and take a look at the band’s complete 50th anniversary activity here. Take a look at the band’s full tour itinerary here. King Crimson’s In the Court of the Crimson King is on our list of the Top 50 Psychedelic Albums.